Italy is one of my favorite destinations. 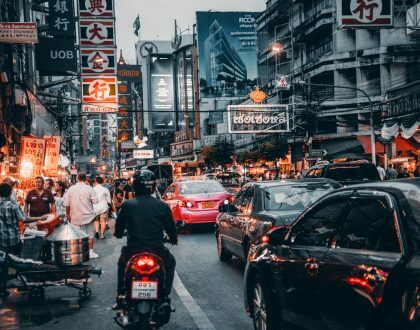 I’ve traveled extensively throughout the country and every time I go back and explore; my travel experience tops the last. 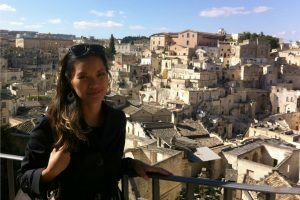 Tucked away in the Basilicata region of Italy, Matera is a UNESCO recognized ancient cave town that has been built into the jagged mountains of the Italian countryside. I had the pleasure of visiting this virtually unknown inland destination when I attended the Women’s Fiction Festival a few years back. During my tour of the city, I learned it was once considered the “shame of Italy” due to the poverty that existed here. 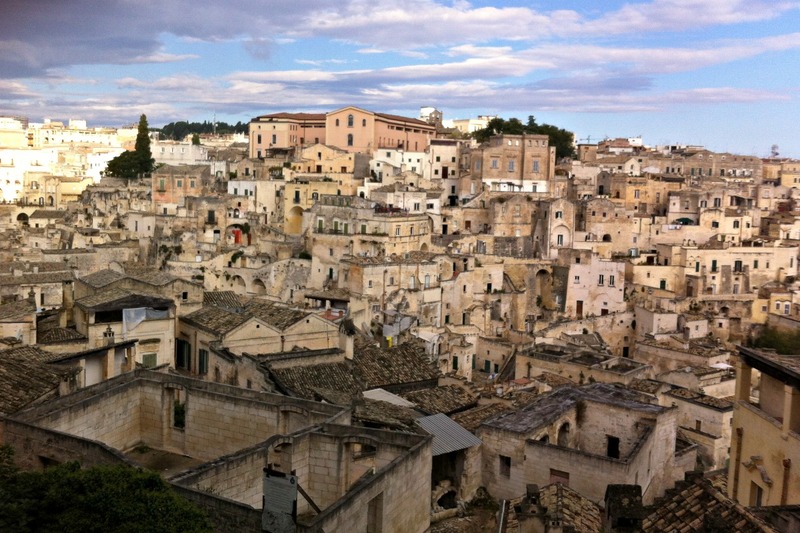 Today, Matera epitomizes a story of rebirth. In fact, it has even been the European Capital of Culture for 2019. 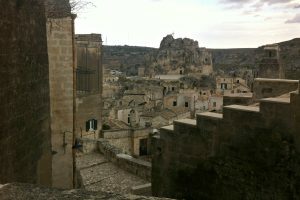 Stroll through the old town known as the Sassi di Matera. 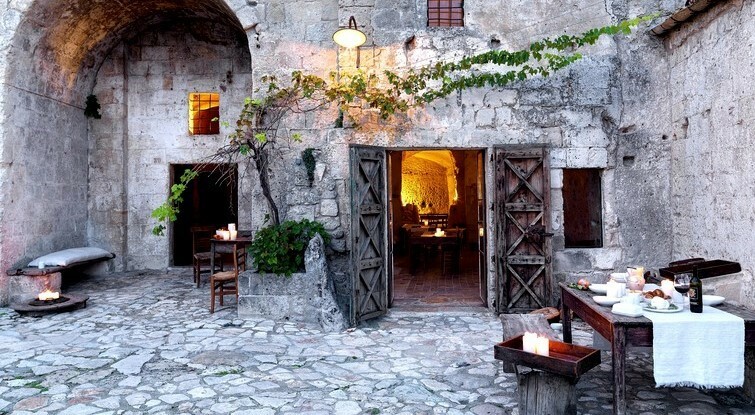 I highly recommend you stay at one of Matera’s famous cave dwellings and experience waking up to the dramatic views of a valley carved out by the Gravina River. It was a highlight of my stay. 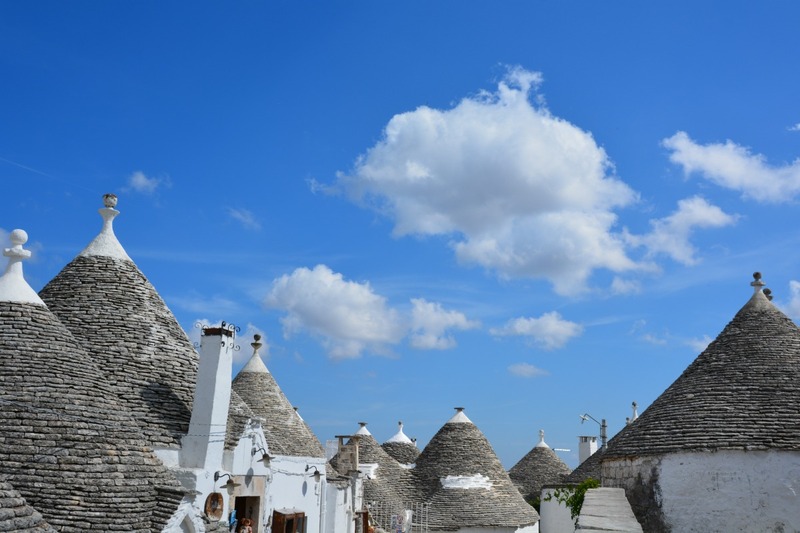 Just a short drive away from Matera, is the lovely city of Alberobello, which is another one of my top choices. If you’re staying in Matera, a day trip to this charming city is just about an hour drive away. I spent the day in this unique and charming town located in Puglia Italy. 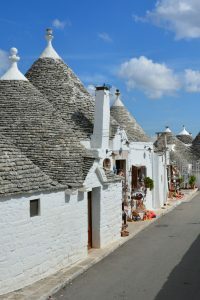 Here you can explore a neighborhood of strangely built, white cone-roofed houses known as trulli. To me, they resemble dreamlike, human-size gnome dwellings. 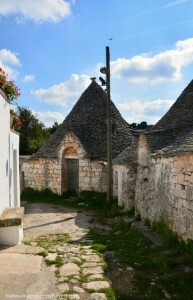 Though these conical limestone houses can be found in the provinces of Brindisi, Bari and Taranto, Alberobello serves as the epicenter for the famed trulli. 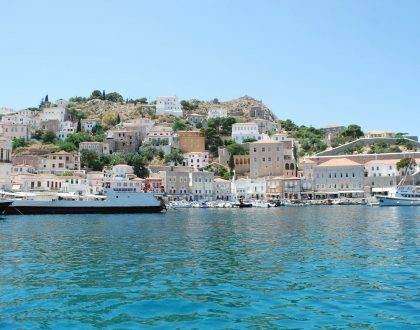 Note that this town is UNESCO World heritage site so know that if you want to stay in town, accommodation can be quite expensive. The mountainous region of L’Aquila is another one of the most beautiful places to visit in southern Italy. With no direct access to the sea, this is the perfect destination for those looking to get lost in the most mountainous region of Italy. 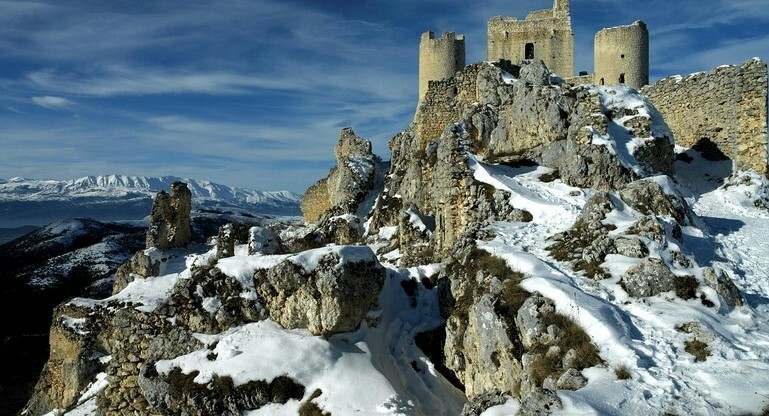 Here, you’ll appreciate views of plunging valleys and tiny fortified medieval villages creviced into the mountainsides. This rustic yet luxurious retreat provides guest an authentic experience that rings true to the culture, history, and customs of the area. Enjoy the silence and serenity in of the most special destinations in Europe. Coined the Rome of the South, Lecce is probably one of the more famous holiday destinations in the area. It’s stunning historical architecture impresses all of its visitors. 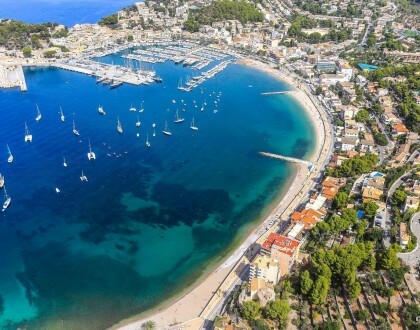 The city is set on a sprawling countryside, close to dramatic coastlines, and within reach to charming small towns. 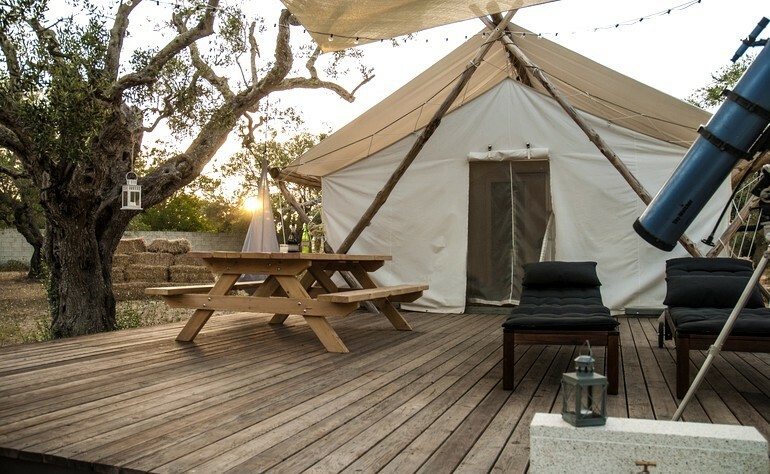 For more adventurous travelers, a stay at a luxury glamping site just outside the city is the perfect way to experience Lecce and the surrounding areas. Check out these delightful tents. 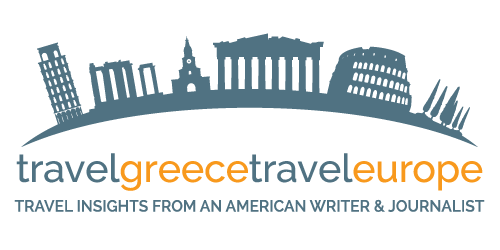 What is a list of the best places to visit in southern Italy without a mention of the largest Mediterranean island of Sicily? It is incredibly diverse in terms of what it has to offer dazzling culture and awe-inspiring landscapes. It is the perfect getaway for those craving to escape the cold as it has a much longer warm-weather season than northern and central Italy. For a truly luxurious stay in Italy, this stunning villa will allow guests to pamper themselves with its private pool and gorgeous oceanfront views. That sums up my top choices for the most beautiful places to visit in southern Italy. Would you add any to this list? You look so stunning in all those pictures. 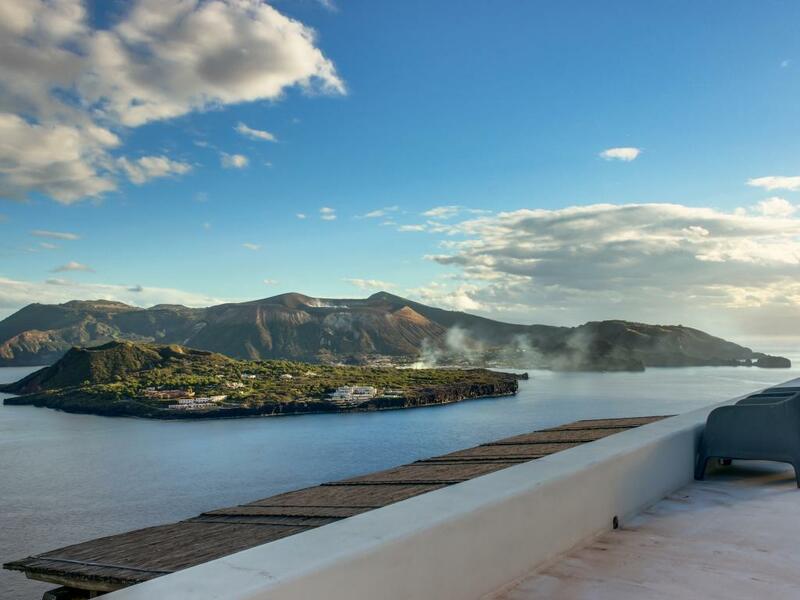 The view is also amazing, Southern italy never fails to amaze.